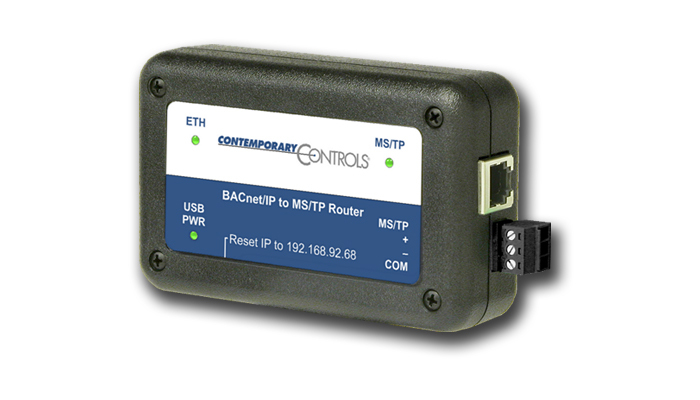 The BASrouter is used to route messages between BACnet/IP, BACnet Ethernet and BACnet MS/TP networks. It supports 5 BBMD entries. This compact DIN-rail mounted unit is used for fixed installations. 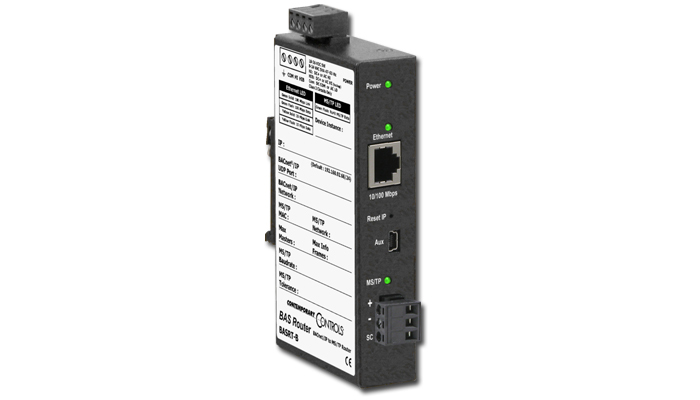 The Portable BASrouter is used to route messages between BACnet/IP, BACnet Ethernet and BACnet MS/TP networks. The portable unit is used for commissioning and troubleshooting. 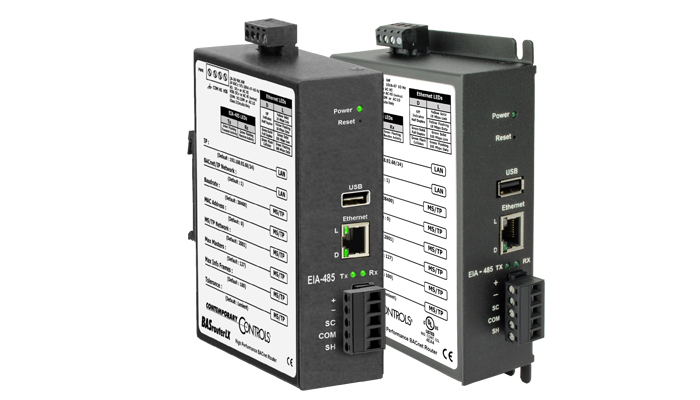 The BASrouterLX is a high performance router used to route messages between BACnet/IP, BACnet Ethernet and BACnet MS/TP networks. It supports 50 BBMD entries and incorporates a more powerful processor and memory. DIN-rail mounted unit is used for fixed installations.